Fire up your HTC Sensation or Sensation XE this morning and you might get a delicious surprise. The Ice Cream Sandwich update for these smartphones is rolling out now and more handsets will join the party soon. This new info comes courtesy of HTC's official blog, which confirmed overnight that the roll-out of Android 4.0 to its top-end handsets has already begun. "As for timing, we're in the early stages of rolling out Android 4.0 for the HTC Sensation and HTC Sensation XE and upgrades will be more widely available in the next few weeks," the blog says. 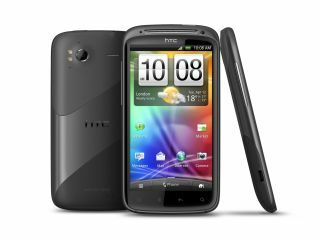 The next handsets to get the Android 4.0 update will be the HTC Sensation XL and the HTC Sensation 4G, with 12 other HTC handsets also now guaranteed to be updated at some point in 2012. As usual of course, when your handset will receive its update will depend on how long it takes your carrier to arrange the roll-out across its network, so unlocked handsets will get the update first.